Peter C. Hill, Ph.D., is Professor of Psychology at Rosemead School of Psychology, Biola University, in La Mirada, CA. Before coming to Rosemead in 2002, he served for 17 years as Professor of Psychology at Grove City College in Pennsylvania. In 2006 he was honored with a faculty appointment at the University of Cambridge as a Visiting Research Fellow at the Center for Advanced Religious and Theological Studies of the Faculty of Divinity. 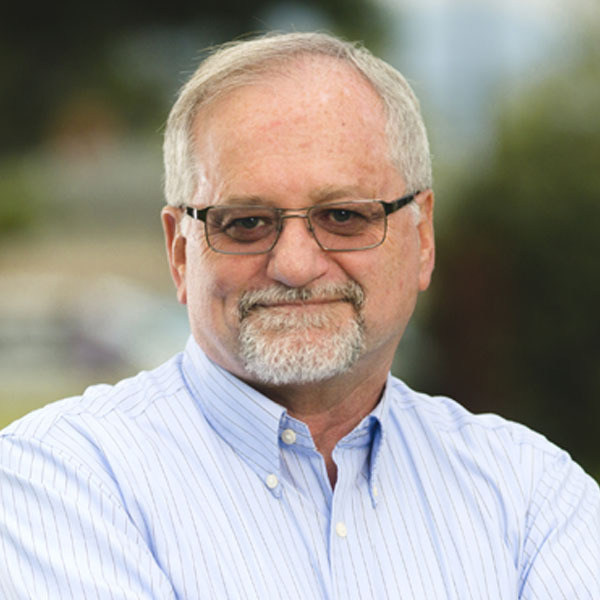 Hill is an active researcher in social psychology and the psychology of religion where he has authored approximately 100 articles in peer-reviewed journals and book chapters. He is a past president of Division 36 (Psychology of Religion) of the American Psychological Association (APA) and was elected Fellow of the APA in 1998. He was also the recipient of the Distinguished Member Award by the Christian Association for Psychological Studies (CAPS) in 1998. He has co-authored or co-edited six books: Measures of Religiosity (1999), the Baker Encyclopedia of Psychology (1999), The Psychology of Fundamentalism: An Intratextual Approach (2005), Psychology and Christianity Integration: Seminal Works that Shaped the Movement (2007) and the best-selling psychology of religion textbook The Psychology of Religion: An Empirical Approach (2009) and Psychology of Religion and Workplace Spirituality (2012). Pete Hill's appointment calendar is available. My research interests focus on five major areas in the psychology of religion: 1) religious/spiritual measurement, 2) religious fundamentalism, 3) positive psychological virtues such as humility and forgiveness, 4) the role of affect in religious or spiritual experience and 5) workplace spirituality. Measurement is not the most exciting topic, but the ability to reliably measure is a key indicator of the maturity of a field of scientific study. To this end, I have invested much of my time looking at measurement issues and have tried to provide resources for researchers to use existing measures rather than needlessly developing new measures. In 1999 I co-edited (with Ralph Hood) a volume entitled Measures of Religiosity, a compendium of reviews of over 125 measures of religious experience. The book has been widely used by researchers, clergy and denominational leaders. Since then I have been collecting information on the many new measures developed in recent years and would like to provide a companion volume, especially with measures focused on contemporary notions of spirituality. What was not included in the first volume was a chapter on measures with specific populations, including children. This oversight would be corrected in a second volume. Deserving special mention is an article I co-authored in the American Psychologist (Hill & Pargament, 2003) where we contend that there are now measurement instruments that can begin to uncover the functional value of religion and spirituality, particularly in relation to mental and physical health. The fact that religion and spirituality are related to health is no longer news. Now researchers must address why and we provided researchers with a review of exemplary measures that we think can help uncover the religion-health connection. The most recent updates in the field are covered in two recently completed book chapters, both of which will carry a 2013 publication date (Hill, in press: Hill & Smith, in press). Our book The Psychology of Religious Fundamentalism (Hood, Hill, & Williamson, 2005) has generated considerable interest in the psychology of religion. We argue that fundamentalism is best conceptualized as an intratextual search for meaning, whereby a single sacred text (written or oral) is the authoritative guide to which all other forms of knowledge must subordinate. We have just submitted a paper for review of a scale that measures this intratextual model. We hope to develop an ongoing empirical program of research based on this conceptualization. Religion has much to offer the field of psychology (Hill, 1999). Nowhere is this more true than in the study of virtue. Sandage and Hill (2001) have outlined the construct of virtue by drawing on moral philosophy, much of which is related to religious and spiritual traditions. We identified 6 dimensions to the concept of virtue: integrated ethics and health, embodied character traits, a source of strength and resilience, a contributor to meaning and purpose, is grounded in cognitive capacity for wisdom and is embedded within a cultural context. Religious traditions, it seems to me, have the unusual potential to help develop virtuous character. My particular interests are humility and forgiveness. I currently have an ongoing research program on humility with three graduate students. I also have had an ongoing interest in the relationship between religion and feeling states (Hill, 1995, 1999, 2002; Hill & Hood, 1999). William James emphasized the importance of emotions to religion and it has been overlooked since then. In particular, I believe that the attraction toward religion is that it frequently provides a framework for more positive affect, a point I make most directly in my 2002 article by looking at spiritual transformation in light of Barbara Frederickson’s broaden-and-build theory of affect. I have always had an interest in this topic, but only recently have I started to publish in this area. Of special note is an upcoming book that I co-edited that will carry a 2012 publication date (Hill & Dik, 2012). Hill, P. C., & Dik, B. J. (Eds.) (2012). Psychology of Religion and Workplace Spirituality. Charlotte, NC: Information Age Publishing. Hood, R. W., Jr., Hill, P. C., & Spilka, B. (2009). The Psychology of Religion: An Empirical Approach (4th ed. ), Guilford Press. Stevenson, D. H., Eck, B. E., & Hill, P. C. (Eds.). (2007). Psychology and Christianity Integration: Seminal Works that Shaped the Movement . Batavia, IL: Christian Association for Psychological Studies. Hood, R. W., Jr., Hill, P. C., & Williamson, W. P. (2005). The Psychology of Religious Fundamentalism . New York: Guilford Press. Hill, P. C., & Hood, R. W., Jr. (Eds.). (1999). Measures of Religiosity . Birmingham, AL: Religious Education Press. Benner, D. G., & Hill, P. C. (Eds.). (1999). Baker Encyclopedia of Psychology and Counseling (2nd ed.). Grand Rapids, MI: Baker Book House. Hill, P. C. (in press, 2013). Measurement in the psychology of religion and spirituality. In R. F. Paloutzian and C. L. Park (Eds. ), Handbook of the psychology of religion and spirituality (pp. 43-61). New York: Guilford Press. Hill, P. C., & Smith, E. (in press, 2013). Measurement in the psychology of religiousness and spirituality: Existing measures and new frontiers. In K. Pargament (Ed.-in-Chief), J. Exline & J. Jones (Assoc. Eds. ), APA handbooks in psychology: APA handbook of psychology, religion, and spirituality. Washington, DC: American Psychological Association. Hill, P. C., Jurkiewicz, C. L., Giacalone, R. A., & Fry, L. W. (in press, 2013). From concept to science: Continuing steps in workplace spirituality research. In R. F. Paloutzian & C. L. Park (Eds. ), Handbook of the psychology of religion and spirituality ( 2nd ed.). New York: Guilford Press. Exline, J. J., & Hill, P. C. (in press, 2012). Humility: A consistent and robust predictor of generosity. Journal of Positive Psychology. Hill, P. C., & Dik, B. J. (2012). Toward a science of workplace spirituality: Contributions from the psychology of religion and spirituality. In P. C. Hill & B. J. Dik (Eds. ), Psychology of religion and workplace spirituality (pp. 1-22). Charlotte, NC: Information Age Publishing. Cohen, A. B., & Hill, P. C. (2007). Religion as culture: Religious individualism and collectivism among American Catholics, Jews, and Protestants. Journal of Personality, 75, 709-742. Hill, P. C., & Pargament, K. I. (2003). Advances in the conceptualization and measurement of religion and spirituality: Implications for physical and mental health research. American Psychologist , 58, 64-74. Hill, P. C. (2002). Spiritual transformation: Forming the habitual center of personal energy. Research in the Social Scientific Study of Religion , 13, 87-108. Sandage S. J., & Hill, P. C. (2001). The virtues of positive psychology: The rapprochement and challenges of an affirmative postmodern perspective. Journal for the Theory of Social Behaviour , 31, 241-260. Hill, P. C., & Hood, R. W., Jr. (1999). Affect, religion, and unconscious processes. Journal of Personality , 67, 1015-1046. Hill, P. C. (1999). Giving religion away: What the study of religion offers psychology. The International Journal for the Psychology of Religion , 9, 229-249. Hill, P. C., & Cohen, A. B. (2008, February). “Race moderates the relationship between religious fundamentalism and political attitudes.” Paper presented at the annual meeting of the Society for Personality and Social Psychology, Albuquerque, NM. Maltby, L. E., & Hill, P. C. (2007, August). “So firm a foundation: What the comparative study of religion offers positive psychology.” Paper presented at the 115th meeting of the American Psychological Association, San Francisco, CA. Hill, P. C., Welton, G. L., & Seybold, K. S. (2007, March). “Forgiveness in the trenches: Empathy, perspective taking, and anger.” Paper presented at the annual meeting of the Christian Association for Psychological Studies, King of Prussia, PA.
Hill, P. C. (2006, November). “Assessing the state of measurement in the psychology of religion and spirituality.” Invited plenary address at the 2006 Spiritual Care Research Conference, Mayo Clinic. Rochester, MN. Hill, P. C. (2006, October). “The secularist fundamentalist: Application of an intratextual style of thinking.” Presentation at the Universite Catholique de Louvain, Louvain-la-Neuve, Belgium. Hill, P. C. (2006, September). “Fundamentalism as intratextuality: A new look at an old phenomenon.” Invited plenary address to the British Association of Christians in Psychology, Manchester University, Manchester, England.